For the past week, the DebConf Videoteam has been hard at work, sprinting in Diegem, Belgium. We've had a lot of fun, but were also able to improve a lot of things. Jonathan and Andy eventually want to set up Raspberry Pi 3B+ with screens on the top of our cameras to act as tally lights and enable the video directors to send messages to the camera operators that way. No more sleeping on the switch! To make this possible, Jonathan has been working on adding a custom drop-down menu near the camera preview in voctogui. Since we don't want to have to jump through hoops to image those boards, Jonathan worked on booting a pure Debian image on the Pi 3B+. He's been able to load an Initramfs and a full mainline kernel on it, but ran into trouble getting the network up because of USB driver problems. The program Jonathan has been writing to display messages on the Raspberry Pi screens is called toetally. It's still in pre-alpha, but check it out nonetheless! Tzafrir worked on getting his Opsis board up to date with the latest version of HDMI2USB, the firmware we are using on those boards to capture HDMI inputs. He's been mostly successful in getting it to work, but has been having hardware problems with his Minnowboard Turbot, the SBC we are using to control the Opsis. Nicolas completely rebuilt our streaming setup for DebConf17, migrating from icecast2 to something based on libnginx-mod-rtmp, as icecast2 kept crashing. It has been working very well since then, but sadly Nicolas hadn't had time to document how it works properly. This is not the case anymore! 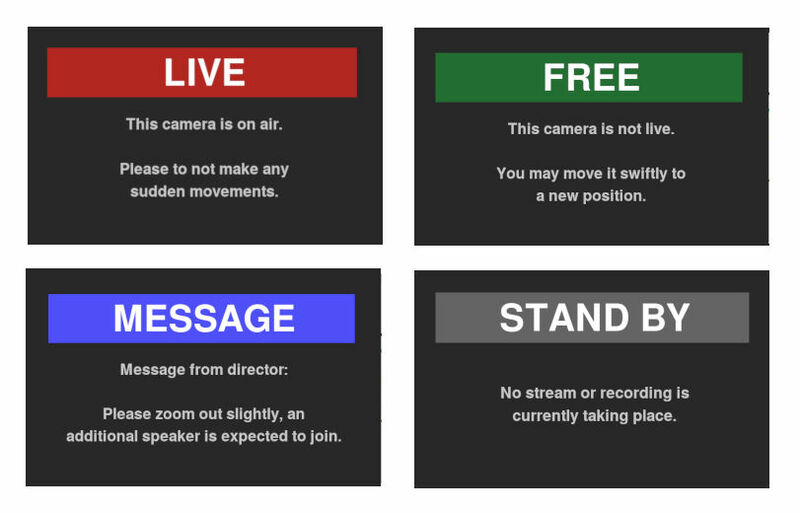 You can now check out our streaming documentation. Nicolas also included our ansible role documentation to the main ansible documentation generated in sphinx. We recently bought a new audio kit to replace the one we had. It was getting pretty old and was basically crumbling away. At the last mini-DebConf we did in Hamburg, we even had to borrow a kit from the CCC VOC. Before the sprint, Andy and Kyle worked on listing what hardware we needed to buy and Nicolas had the gear shipped to Paris. Sadly, we only got one of the four wireless receivers we bought, as the other ones were backorder. 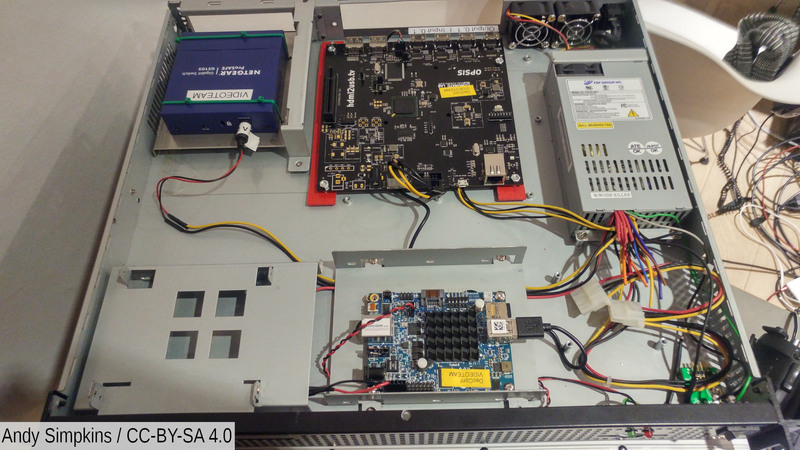 During the sprint, Nicolas and Andy worked hard on racking the gear in our new front of stage rack and Andy did a soldering job in our Opsis case to be able to power the Opsis, the turbot and the network switch all at once. You can find more in depths details about our new audio system and the racking process on Andy's blog. Thanks to HSBXL for lending us tools to hack sheet metal! With the phasing out of Alioth, our old git-annex repository was not accessible anymore (Salsa doesn't support git-annex). Judit, Tzafir & Stefano thus worked on migrating it to git LFS. The plan is to use this new DebConf share repository to host pictures taken by attendees. As we are trying to migrate away from DebConf hardware, Stefano also wrote a scraper for DebConf Gallery and plans to move the pictures hosted there to DebConf share. He still plans to modify Wafer to make it easy for speakers to publish their slides on the DebConf website, but if it comes to it, we'll also be able to use that git LFS repository to host slides too. Giovanni Mascellani came-by during the week to learn more about the way our setup works. He helped with a bunch of small fixes left and right and we had a very good time! 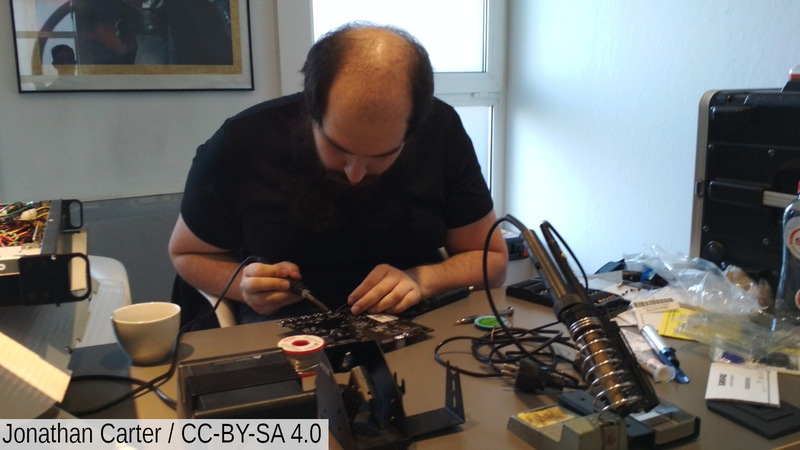 By pure chance, Stefano came back from LCA with a bunch of Fomu boards (tiny open hardware, open toolchain FPGA boards that fits in your USB port) to give out for FOSDEM and Giovanni managed to flash one of them with a Raspberry Pi. Very neat! Although we mainly install new machines using PXE boot from our network gateway, we sometime need to bootstrap other machines without it. We normally did that by installing Debian manually on a machine and then running ansible on it. We now have an easy to use USB installer! You can run a simple script that builds a preseeded Debian image and flashes it on a USB key. Once Debian is installed, the machine reboots and runs ansible automatically. We previously had something similar, but Carl Karsten rebuilt the whole thing and made it easier to use. Louis-Philippe updated the documentation. When we packed one of our Opsis boards after DebConf18 in Taiwan, one of the USB ports got mangled. Nicolas spent a whole day trying to resolder it back, but finally ended up cutting it from the board and replaced it by a cable attached to a USB header. Louis-Philippe worked a large part of the week trying to get systemd to run in Docker in Gitlab CI. We need that to test our ansible modules properly. Having worked on this previously, this week he tried to build a docker container that ran both systemd as PID 1 and an OpenSSH Server and tried to run this image as a service. The idea behind this is that since there is no way to run systemd as PID 1 in Gitlab CI, maybe it could be achieved in a service. Ansible roles could then be tested by connecting via ssh. Sadly, this also proved impossible. Even when using a privileged runner, docker containers need to have volumes like /sys/fs/cgroup explicitly mounted for systemd to run and there is no way to achieve this with a service. To better test our ansible roles, he added more unit tests that skip the systemd handlers. Paulo and Adriana flew in from Brazil to attend the video sprint. With the help of other DebConf people present, they ironed out a few problems and worked some more on planning for DebConf19. Stefano fixed the default ansible inventory that ships with our playbooks. We don't use that inventory very often, as we have a more complete one for our production setup. It is used by people that want to test our setup though, so that means others will be able to replicate our work more easily. This sprint would not have been possible without the support of the amazing Jasper Nuyens of Linux Belgium, who very graciously lent us a place to hack and sleep for the week. Jasper also bought us delicious pizza on Thursday night, a gesture everyone highly appreciated. We also extend our thanks to the Debian Project for giving us a budget for the sprint.